Aruba, a little island located in the Netherlands Antilles filled with sandy white beaches, fresh fish and beautiful little places filled my heart. 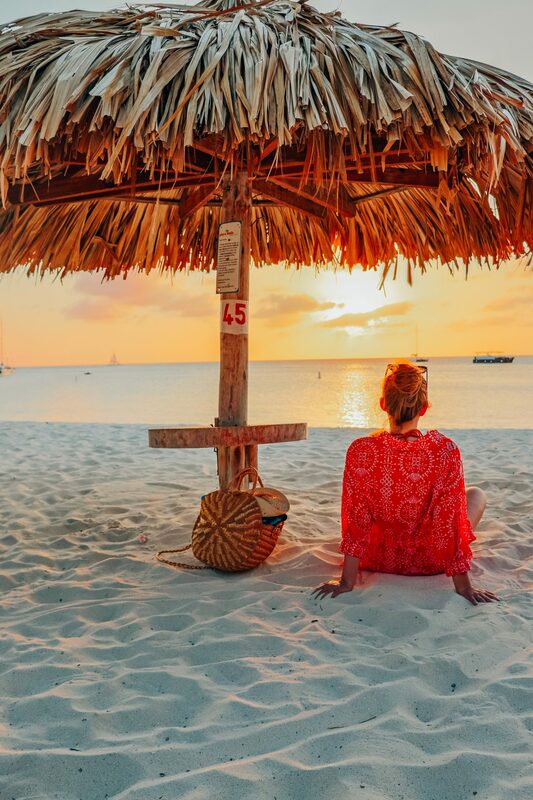 When you go to Aruba, it’s a more relaxing type of holiday (also a lot of honeymoon’ers come here), and it’s oh so pretty. I felt so exciting going to the Carribean for the first time and all my expectations were met up. I loved the relaxing atmosphere, the fact most people spoke Dutch (my language! ), the general vibes and good food. The island of Aruba is very small but charming. Still there are a lot of things you can do besides tanning at the beaches and swimming in the clear waters. That’s why I made this list with the activities I did in Aruba! 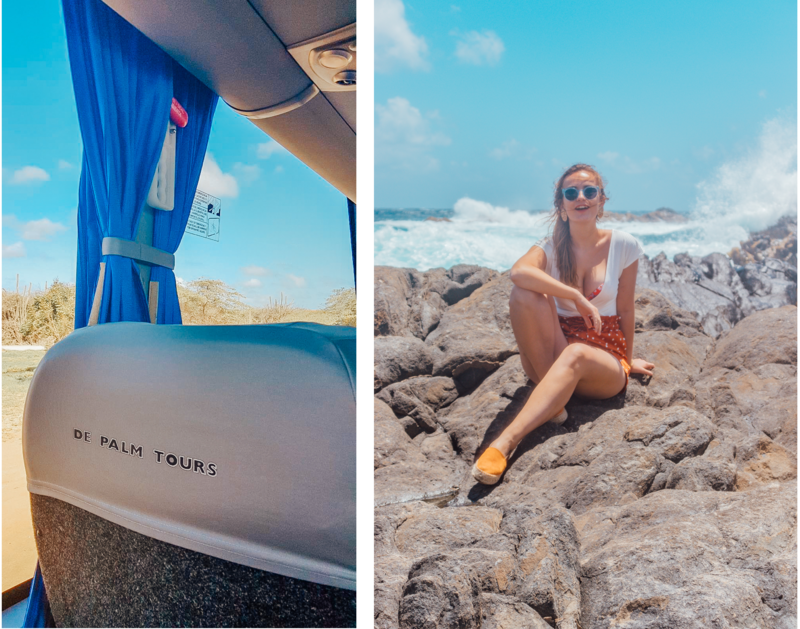 You’ll spot the big bus from De Palm tours a lot when you’re in Aruba. That’s because that’s one of the best ways to get around Aruba and see all of the island’s highlights. We did a 5-hour bus tour and visited a lot of pretty places such as the main churches, the natural bridge, California lighthouse, baby beach and more. The bus stops at all places and the guide gives you all the information you need. You go eat on a private island in the middle of the sea and have the opportunity to go snorkling at baby beach. Definitely a must do if you want to see all of the touristic stuff! The number one thing to do in Aruba is snorkling. On for example baby beach you can see so many fish in the clear water, it’s absolutely amazing. The shores are filled with colored coral, clown fish, angel fish and I heard that if you’re lucky, you can even spot an octopus! Many hotels offer you free equipment and there are also a lot of organised tours to go snorkling. During my trip in Aruba I went Stand-up paddle boarding with Aruba Surf and Paddle school. The guide Dennis is not only super friendly, funny and a very good SUP teacher, it’s just a fun activity if you’re into sports and want to see the island from another angle (the sea ;)). And to be honest; SUP’ing isn’t as hard as it looks. I really loved going into the water and see the mangroves from up close! Definitely a must do for a fun morning! Well this really is a must-do in Aruba. If you’re on a honeymoon, or just a regular trip… It’s just so fun to lay on the beach and have flamingo’s walking around you! The animals are very friendly and just come and say hi for the pictures. Definitely a fun activity. But next to that the Renaissance private island is overall very pretty and luxurious. With a lot of nice hammocks, laying chairs, little bars and corners it’s a very dreamy island! To get there you can buy a day pass through Renaissance hotel or you should be a guest of the Renaissance hotel! The capital of Aruba is Oranjestad, a little but very picturesque town with colorful houses. The free tram which is in a very cool style, brings you from the one side of the town to the other. Just sitting there enjoying the sun and the views is definitely something you should do. When you’re in Aruba you have to lay on the beach and enjoy the sun and lovely temperature of the sea. There are different beaches in Aruba. Baby Beach is mostly for snorkling, Eagle beach is more quiet and then there’s Palm beach. The Palm beach area is a very nice (but touristic) strip of beach where all the big hotels are. The beach is very clean and there are lot’s of nice restaurants that serve local fish and more. Seems like Baby Beach was a big highlight. Greatlist, I cant wait to go. I’m dying to go to Aruba and this makes me want to go even more! Bookmarking this for when I finally go. Thank you for sharing!! Aruba lijkt me prachtig. Staat nog hoog op mijn lijstjenom te bezoeken. Dat ziet er gewoon sprookjesachtig uit, prachtig! Later als ik ‘groot’ ben (en durf te vliegen) gaan we daar zeker heen! Het ziet er echt geweldig uit daar, en die flamingo’s op het strand gewoon WAUW! 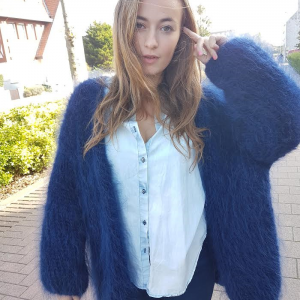 Na het lezen van jouw blogpost, heb ik kei veel goesting om naar Aruba te gaan! Heel erg mooie foto’s ook!